Bankruptcy is a major step for anyone. The implications for your financial future are extensive and long-lasting, despite the potential benefits. While the proceedings have a significant effect on any bankrupt individual, regardless of their circumstances, the implications are perhaps most dramatic for company directors. If you are a company director, or you wish to become one, it is important that you understand how bankruptcy will affect your situation. What does bankruptcy stop me doing? Bankruptcy has significant implications. As well as losing control over your assets, you also lose the ability to carry out certain actions. A person in undischarged bankruptcy cannot act as a company director. This is an important rule that must be observed; failure to abide by it will result in legal proceedings. A person in undischarged bankruptcy also cannot take any part in forming, managing or promoting a limited company unless they have the explicit permission of the court. As an undischarged bankrupt you are also prevented from trading under any name other than your own, unless you inform all relevant parties of the bankruptcy. In practice, this means that you cannot run a business ‘trading as’ anyone but yourself – even if that business is just you operating as a sole trader. What if I’m already a company director? If you are already a company director and you are declared bankrupt, you should inform the other directors immediately. They should then file the relevant documents to have you removed from the list of directors. Potential problems arise in instances where the bankrupt individual is the only director. In these cases you are still legally prevented from carrying on as a director. 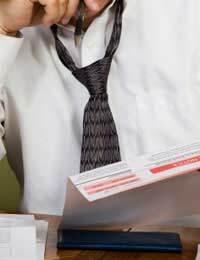 These cases are (perhaps surprisingly) relatively rare; often the associated legal tasks will be carried out by the bankruptcy trustees or overseen by the Official Receiver. The most desirable outcome would be for you to inform the company’s other directors, and have yourself removed from the date that you are declared bankrupt. Another director of my company is bankrupt. What do I do? It is not uncommon for bankrupt directors to fail to inform relevant parties. This can be problematic for other directors of a company. If you find that another company director has been declared bankrupt, your course of action will depend on the proportion of the shares that they own and the voting rights that this gives them. If their voting rights constitute less than 50 per cent of the total, you and the other directors can simply resolve to remove them. If they have more than 50 per cent of the total, the Official Receiver will pass this resolution themselves. Potential problems arise when the voting rights are split 50/50. In these cases you should contact the Official Receiver. Bankruptcy is a decision that should not be taken lightly. If you do decide to enter bankruptcy, however, it is vital that you abide by your legal obligations. You should make sure that you inform the relevant parties – and ensure that you do not break the legal restrictions by attempting to carry on as a company director.